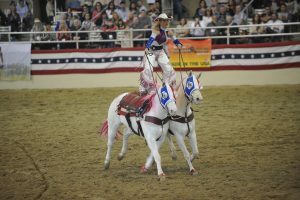 Each year, thousands of spectators line the Rose Parade route to enjoy a two-hour parade of magnificent floral floats, talented marching bands, and high-stepping equestrians. The 5 1/2-mile Rose Parade route begins at the corner of Green Street and Orange Grove Blvd. in Pasadena. The parade travels north on Orange Grove Blvd. at a leisurely 2 1/2-mile per hour pace and then turns east onto Colorado Blvd., where the majority of the parade viewing takes place. Near the end of the route, the parade turns north onto Sierra Madre Blvd. and concludes at Villa St. 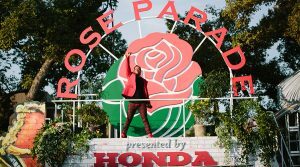 The Pasadena Police Department, supported by the Tournament of Roses Association and City Officials, will be closing the Rose Parade route early to vehicular traffic to enhance public safety measures. Route closures will take effect beginning at 10:00 PM on December 31 through 2 PM on January 1. along Colorado Blvd., from Orange Grove Blvd. to Sierra Madre Blvd., and northbound on Sierra Madre to Paloma St. Residents and merchants hosting viewing parties or receiving deliveries during the proposed street closures must notify their guests or vendors to arrive prior to the 10:00 PM closure. Guests and vendors arriving after the closure may park in nearby areas that allow for unrestricted parking. 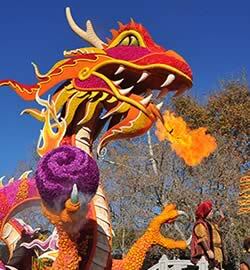 Please read more about Rose Parade safety tips, rules and regulations on our Parade Safety Guidelines page. Safety tips and guidelines are also provided by the City of Pasadena. 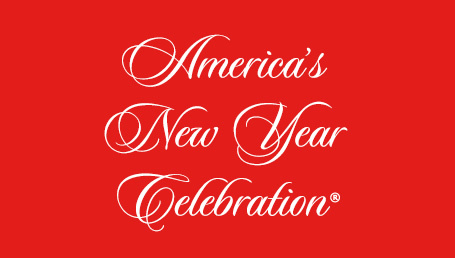 Please note that on January 1 prior to the start of the Rose Parade, the foot traffic flow on Orange Grove Blvd. between Colorado Blvd. and Green St. will be closed due to parade activities. If your seats are located on Orange Grove Blvd. between Colorado Blvd. and Green St., within the boundaries of the Tournament of Roses® security zone, you will need to have your ticket to gain access to this area. It is imperative that you arrive at your parade seat within this location by 6:30 AM on January 1.  Your ticket or valid credential must be displayed to any usher, public safety personnel or any authorized representative of the Tournament of Roses upon demand. All patrons are subject to search. Objects that may block the view or interfere with other patrons, or that may potentially pose a threat to safety, are prohibited.  The City of Pasadena and volunteers assist the Tournament of Roses with coordinating three street-level viewing areas along the parade route reserved for people with disabilities and their guests. Each person with a disability is allowed up to four guests. At one of the three viewing areas there is a section with audio description for visually impaired visitors and another section with sign language interpreters. Tickets to all viewing areas are free. No seats are provided, so viewers need to bring their own chairs, cushions, stools, etc. To request space at one of the three viewing areas, please complete the following form here. Tickets for limited wheelchair-accessible seating at grandstand locations are sold through Sharp Seating Company. 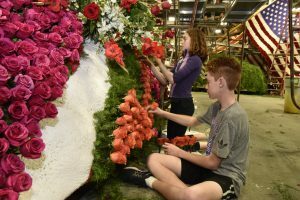 Post Parade is a unique opportunity to get up close to the beauty and splendor of Rose Parade floats after they have made their debut. More information can be found here. Reserved parking for automobiles, buses and recreational vehicles is available for purchase through Sharp Seating Company (626) 795-4171; Colorado Boulevard Parking (858) 692-0868 or (949) 295-6537; City of Pasadena (626) 744-6470; LAZ Parking (626) 578-1705; Easy Parking Service (626) 286-7576 and AP Parking (858) 692-0868. Paid parking is also offered on a first-come, first-served basis at various lots and parking structures near the parade route. 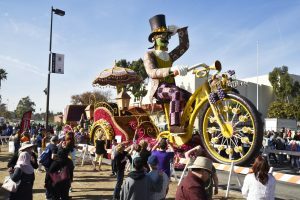 Overnight parking on Pasadena streets begins at noon the day before the parade, for that evening only. All “No Parking” areas and red curb zones remain off-limits, and vehicles in violation will be subject to impound and a fine. There is no parking allowed on the parade route itself. Illegally parked vehicles will be impounded. 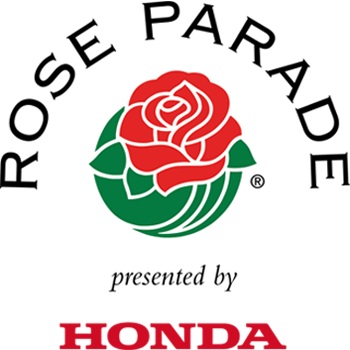 In addition to RV parking available from Sharp Seating Company, overnight RV parking is available in Brookside Park at the Rose Bowl Stadium prior to parade day. RVs must be completely self-contained; there are no hook-ups. Space is limited and made available on a first-come, first-served basis. Reservations are not accepted.  For additional information please contact the Rose Bowl Stadium at (626) 577-3100. For limo and bus parking information, please call Blanchard Parking at (626) 397-4220 or Sharp Seating Company at (626) 795-4171. Metro will operate 24-hour service on Metro Rail, also on the Silver and Orange Lines on the night of December 31 through the morning of January 1. In addition, Metro will offer enhanced service on the Metro Gold Line to accommodate large numbers of anticipated riders on January 1. Plan your trip below. Metro will also provide regular bus service to areas near the Rose Parade, Rose Bowl Game and Post Parade areas. Buses will originate from locations throughout the county. For real-time info on Metro service, follow @metrolaalerts on Twitter. For more info, call 323-GoMetro (323) 466-3876 or visit metro.net. 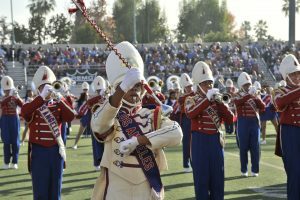 Metrolink will provide special service on the San Bernardino and Antelope Valley Lines, specifically for individuals to enjoy the Rose Parade. Check metrolinktrains.com for schedule information or call (800) 371-5465 for more information. For additional information on transportation, please visit the City of Pasadena website.